MESSAGE FROM THE FORMER PRESIDENT: Mr Jon Lowe. The SSRAV came into fruition 25 years past, it was instigated by people with a common interest to promote "Speedway Sidecar Racing". I wonder if today they imagined it would survive this time span, but the foundation stones that were laid then have only been built on since to further advance the cause. To some of us it has been and shall remain a life time enjoyment on all levels, and we still build on with enthusiasm to keep the sheer magic of now both Solo and Sidecar Racing to the forefront. Our kudos has always been to foster and promote the fine art of Motorcycle Speedway Racing where and when ever possible, from one end of the country to overseas, which has been done with great distinction by all involved. The fire and passion still burns brightly within and I know that others will take the SSRAV further ahead still. To the founders of the Association, the friendships of past, present and in the future, administrators behind the lights and the high calibre of competitors, I say that there is no other way but "Forward". I am convinced that those of us if we could would gladly do it all again, for we all were then, as those of today, a part of history, and can always say with pride to people “I was or am a Motorcycle Speedway Rider". There is only one way: "Speedway the Greatest Motorcycle Spectacle Imaginable". 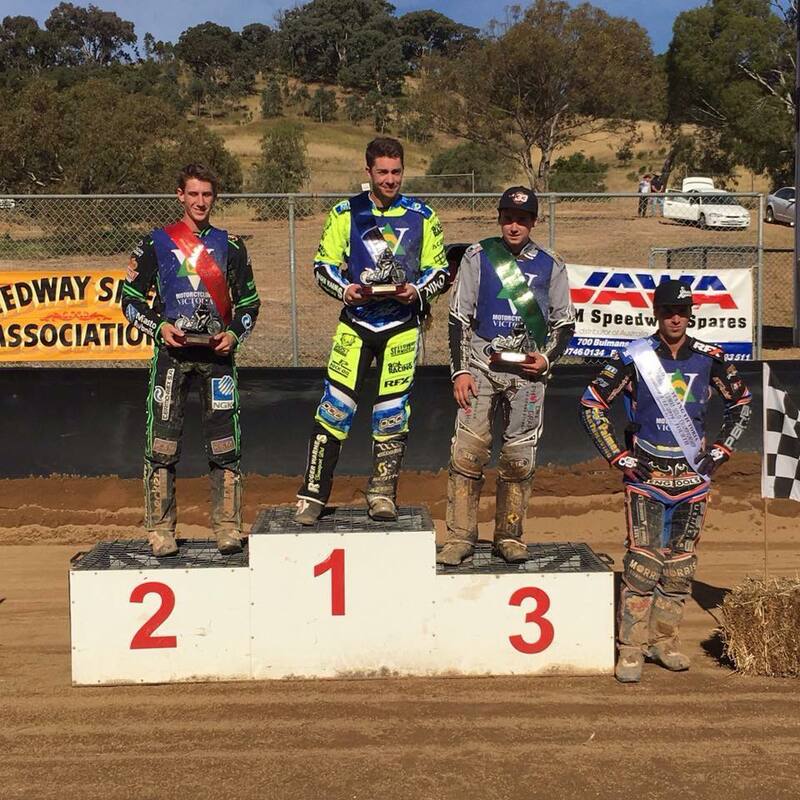 Speedway Sidecar Riders Association of Victoria ‑ Why? In the early fifties a strike was called by the speedway riders against a promoter for more money. The then promoter of Traceys Speedway, Fred Tracey, said he may look at more money being available sometime in the future, but he would not pay more money on demand by a strike. He said if the riders agreed to ride at the present money he would negotiate for some improvement. In the case of the sidecar riders prize money it was paid at the rate of £1 a point plus £1 a start and the points were 3, 2, 1 for 1st 2nd and 3rd. Although he did not pay any more point money to the riders he did include passenger payment at 6 shillings a start and 6shillings a point. Most payments outside the point system were negotiated on a personal basis, and special races such as match races came under a price agreement between the promoter and the riders. It was some years later after the closing of Traceys Speedway, and a new generation of promoters that had some what less feeling for the sport but placed more importance on running it as a business. Both the people promoting and the controlling body being less organised than previous speedway seasons left the sport some what wanting, as it was 2 years between the time Traceys closed and the opening of Brooklyn Speedway. During this time rides were few and far between, and in those days the Herald printed the full program for the Saturday on the Friday Night, so it was necessary to read the paper Friday night to see if a) Sidecars were programmed, b) you had a ride or not. But if the sidecars were programmed and you weren't listed, you used to take the bike down there and sit in the pits hoping that someone would blow up or have some other problem and you would take their place. It was not unusual to sit in the pits for up to six weeks without turning a wheel. As a result of all this sidecar numbers dwindled and eventually dropped to only six machines that were running and were reliable sort of. With Brooklyn Speedway coming of age as the Melbourne Speedway, even though it was on the outer industrial suburbs it was the place where and why the Association was born. The promoter of Brooklyn in the early 70's asked why can't someone give me the names of all the riders, and why can't someone programme the riders into race events, and then I can give them the prize money in one cheque to pay all the riders on that night. Over the next couple of months, these questions and more were discussed by a couple of riders at their favourite hangout venue, Ray McGrath's garage, where they used to sit around and drink coffee and talk a lot. The main discussions took place between Ray McGrath, Jack Walker and Lloyd Crundwell, who after one of many such discussions decided to call a meeting of interested riders to see the feasibility of forming an Association for sidecar riders to help increase the flagging numbers at race meetings. The first meeting of interested riders was held at Ray McGrath's garage, apparently a pretty swish affair with the hoist being raised and cleaning cloths being placed down to prevent anybody getting grease on them; thus the concept of the Speedway Sidecar Riders Association was born. The idea of the Association was based on other successful groups, and in doing so the concept of further promoting Speedway Sidecar Racing was foremost. The first official meeting took place at the same venue in Feb 1973, Ray McGrath was introduced as the spokesperson at this meeting and later became the first President of the Association. The main emphasis of the Association was to get a better understanding between the riders, controlling bodies and the promoters. At first the best riders agreed to ride for the same money as the beginners to prove that the sport was more important than any one competitor. The formation of the Association had its benefits as they were able to offer the promoters bulk entries to make up a field, and in the weeks prior a central point for competitors to contact and nominate for such meetings, the Association also chased up competitors for the meetings seeing if their bikes were running, and if they weren't what parts were needed and how long before it runs as they needed the bikes. It wasn't long before the numbers grew and there were bikes coming out of the woodwork, this created a problem of what to do, so a gap was left in the main program for encourage races to be run with the winner going straight into the main program. Even Ken Walker rode the encourage race after having a bad week the meeting prior to win his way into the main program, after doing this he then proceeded to blow the wheels off everybody. An unofficial practice had been started at Brooklyn on a Sunday morning by Jack Hale and Alan King so that new riders had a chance to learn to ride, thus giving them a better chance during the encourage races. Over the years the Speedway Sidecar Riders Association of Victoria changed its general meeting venues to various locations after starting off at Ray McGrath's Garage in Surry Hills, moved to Repco Conference room in Richmond, then to Henry Timmerman's work in Collingwood, with many years spent at Duck Board House in Flinders lane, but at the moment we are at the Newport/Braybrook Motorcycle Club rooms at Spotswood. 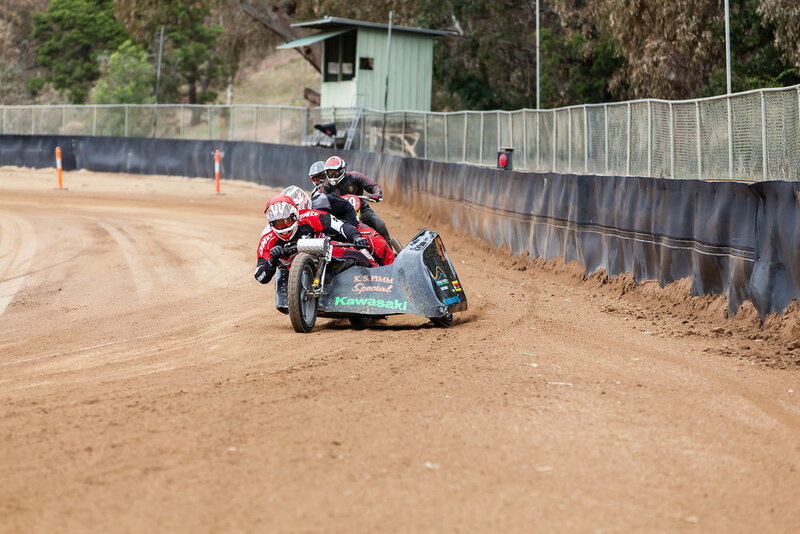 The tracks that the Speedway Sidecar Riders Association supported over the years included: Brooklyn, Avalon, Nhill, Myrtleford, Olympic Park (Mildura), Undera, Heyfield, Rosedale, Swan Hill (old NSW track) Timmis (Mildura), Garfield, Rushworth, Warrnambool, Bendigo, Drouin and the grass track at Romsey. Since the demise of Brooklyn Speedway the Association promoted Undera Speedway for several seasons, Myrtleford and co‑promoted several other venues, but with the number of venues dwindling we currently support:‑ Olympic Park (Mildura), Undera, Myrtleford, Horsham, Bendigo (when bikes run) and Laang Speedways. With these classes running we hope that it will assist with the next generation of Speedway competitor. A Special thanks to Jack Walker and Lloyd Crundwell for supplying the historical information.